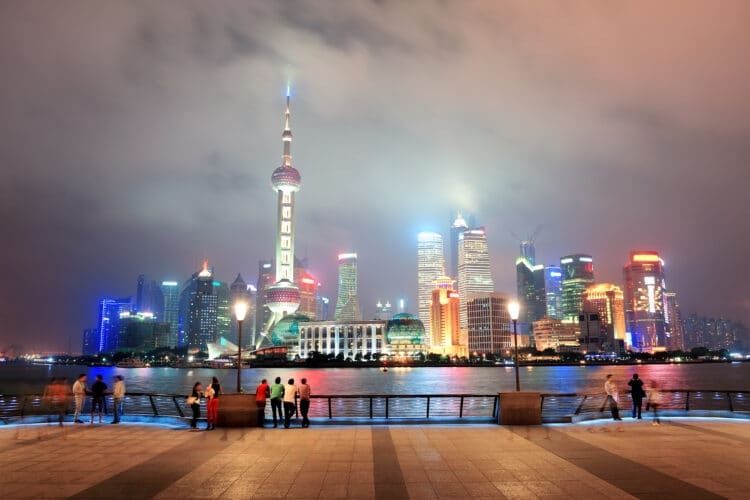 Los Angeles to Hong Kong is a route our family has regularly been flying for over 15 years. As loyal oneworld Alliance members, we usually fly Cathay Pacific. However, American Airlines introduced its own LAX-HKG route recently on a Boeing 777-300ER. With the fares in our favor, my daughter and I gave it a go on our most recent trip. 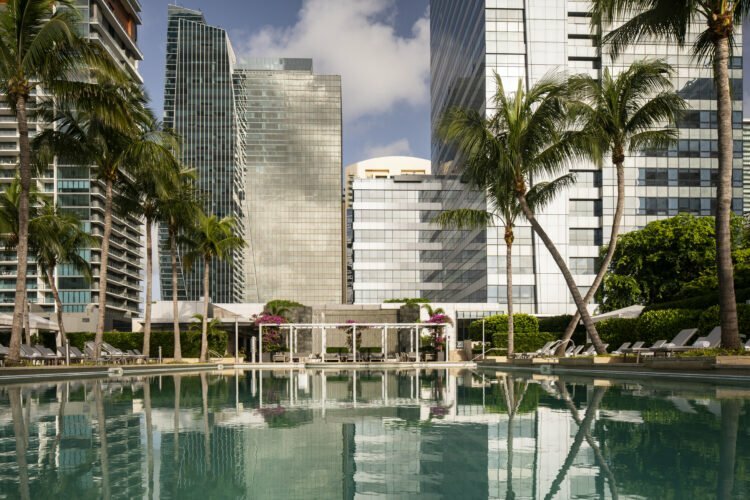 We flew business class from Los Angeles to Hong Kong, and I was able to use my Executive Platinum systemwide upgrades to fly first class from Hong Kong to Los Angeles, which I’ll cover separately. 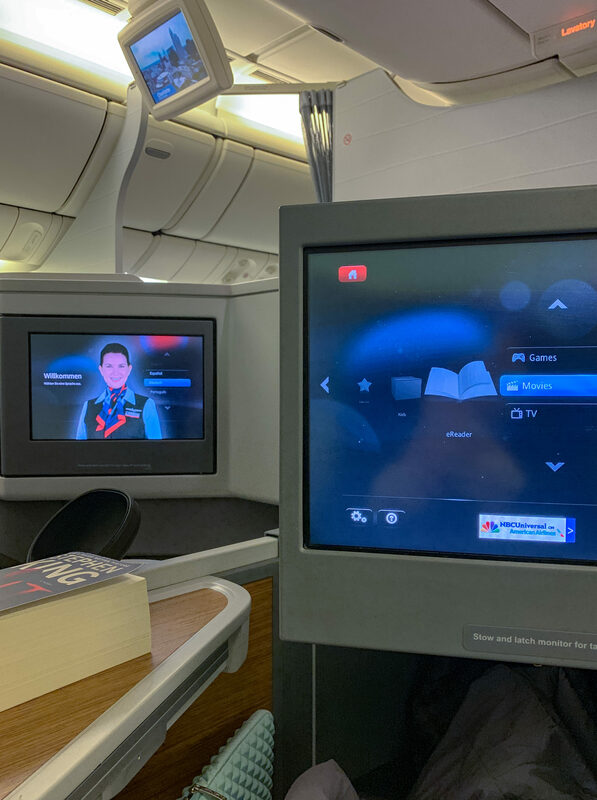 We’ve flown American Airlines business class to Shanghai, Beijing, and Seoul multiple times on a 787 but the flight to Hong Kong offers a few more amenities that these long haul flights do not. I’ll start by saying that it was a good flight. But, if you’re used to flying Cathay Pacific like we are, you might find it a little disappointing. 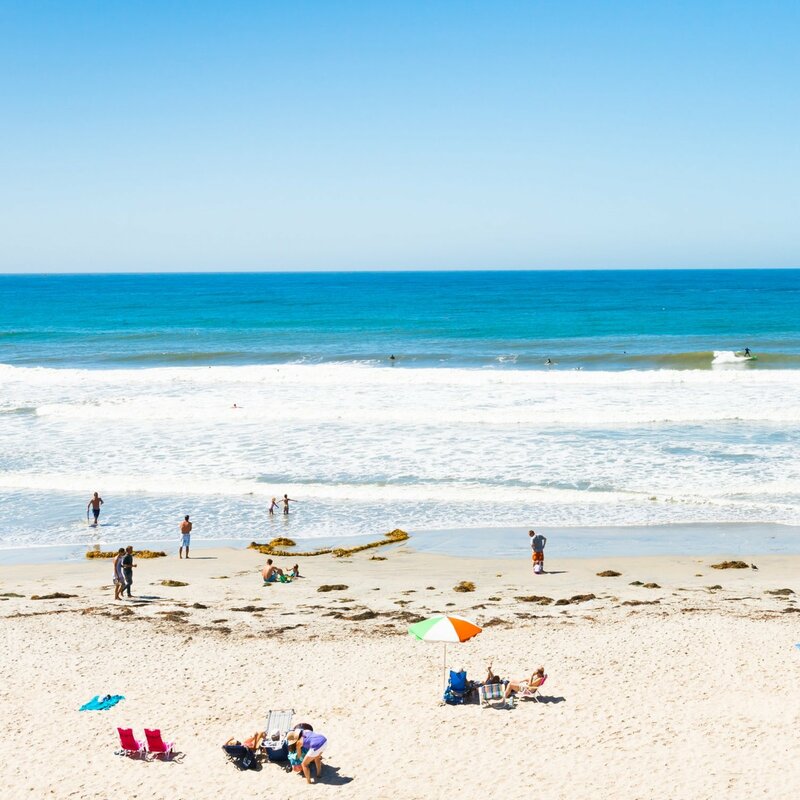 This flight takes off from Terminal 4 at LAX, which means that you’ll use the Admirals Club or Flagship Lounge there. Both were renovated in 2017. 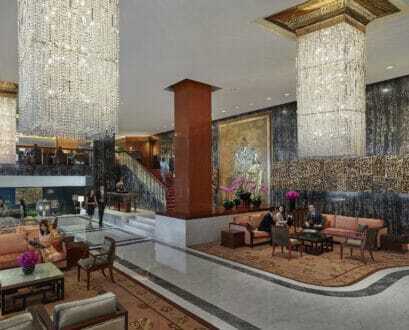 We use the Flagship Lounge due to my Executive Platinum status. 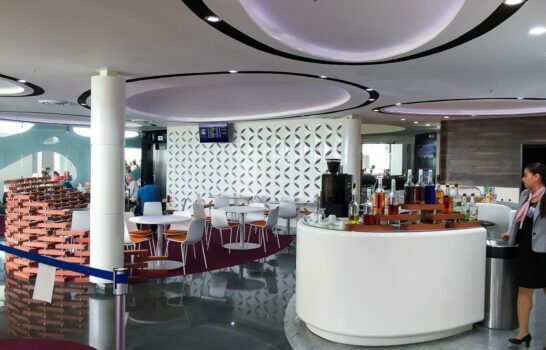 The Flagship Lounge offers a decent buffet featuring cheese, charcuterie, desserts and random main courses from around the world (the latter are sometimes fantastic and sometimes just okay). I particularly like the self-serve wine and champagne area, though spirits and plenty of nonalcoholic drinks are available, too. Even as Executive Platinum, to use the Flagship Lounge’s private dining area you must be flying in first class. 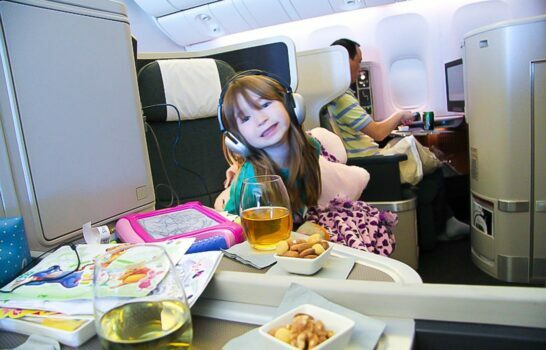 Business class, even on a plane with no first class like many of the 787s that fly to Seoul and China, doesn’t count. I find this disappointing but given how busy the lounge is, I understand. This small posh dining area would be full to the brim otherwise. 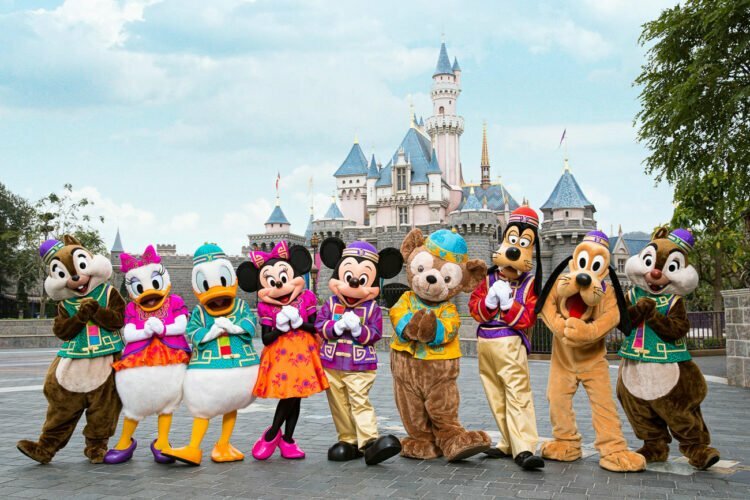 The flight from Los Angeles to Hong Kong departs at 12:55 a.m., which is late. 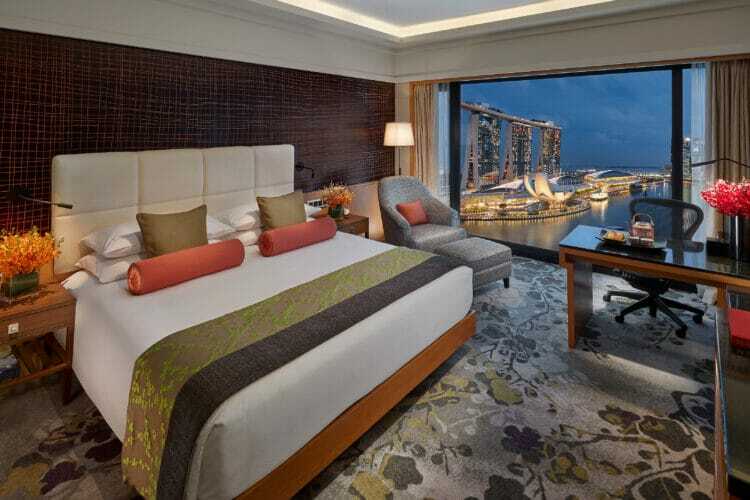 However, it does arrive later in the morning (7:20 a.m. HKT) than other overnight Hong Kong flights. 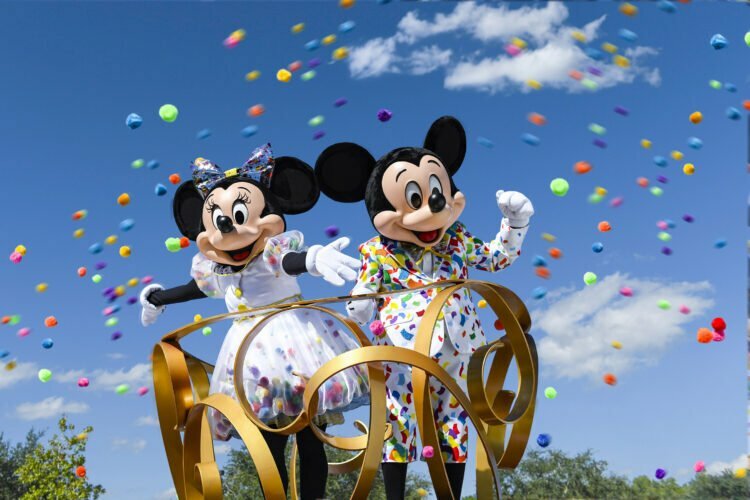 This gives you less of a gap between arrival and when Hong Kong attractions and shops might open. The goal with a flight like this is to do what it takes to stay awake all day and as late as possible into the evening to avoid jet lag. Our gate was heaving with people clustered around the boarding area. As we tend to arrive right as boarding is announced, I had trouble getting to the front to board with our group. It seems that many American Airlines travelers still don’t understand that the airline boards by group number, which is printed on your actual ticket. We arrived at our middle seats (it’s a 1-2-1 business class configuration). I avoided middle seats when my daughter was younger to avoid having to walk all the way around and through the galley to help her with things. Parents with younger children may want to consider a window and an aisle seat for more comfortable back and forth access. Predeparture drinks were handed out (champagne, orange juice, and water in plastic glasses). However, I was skipped because I was putting my luggage in the overhead bin when the tray was being passed. I figured someone would return to offer a drink again, but no one did. I normally would have asked for one, but it was late, and I’d had a few in the lounge. No big deal, but still an oversight. Newspapers and pajamas were passed out next. I didn’t take the pajamas on this leg, but I should have. They’re thin but pretty nice as they comfortably cuff at the ankle to prevent drag on airplane bathroom floors. I actually wear them at home. 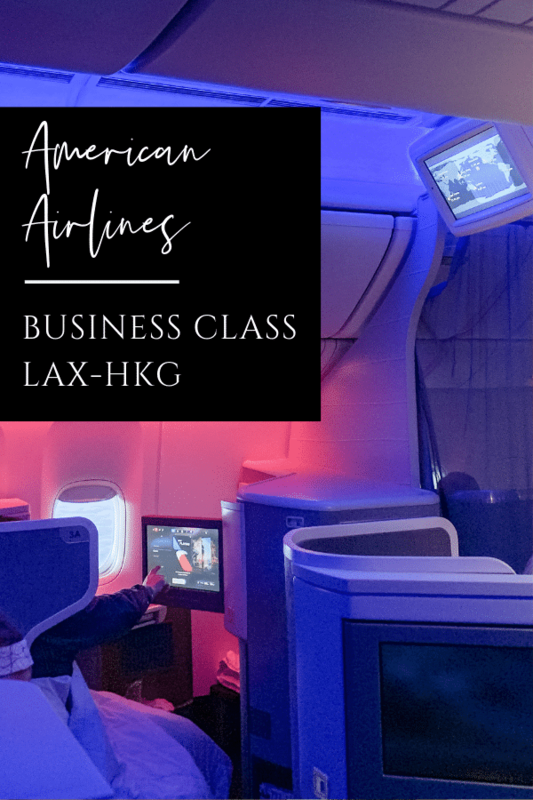 Pajamas are not passed out in business class on Cathay Pacific (only in first class) so this is one place where American Airlines stands out. Behind first class is a small business class section of two rows that feel like they’re in a small enclave. I chose the rear of these two rows, seats 4D and 4G, thinking that the extra privacy might be helpful. I will never choose these seats again. The galley is right behind them and very noisy, mostly with conversation. Even with earplugs in, it was a struggle to sleep. The one thing I did like was being able to look up at any time to see the small television above our aisle that displayed exactly where we were and time to landing. Sure, it’s possible to dial this information up on your tv but why bother if you don’t have to. A mattress pad would also be placed on this seat from LAX-HKG. 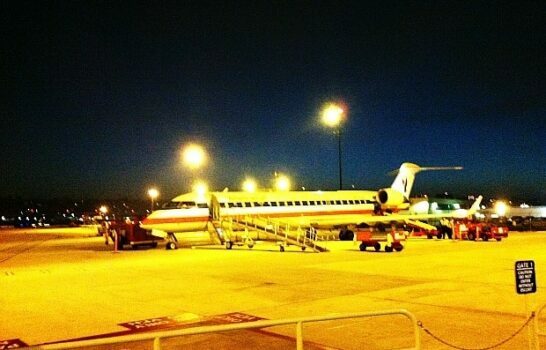 Photo courtesy of American Airlines. The seats are comfortable. In addition to a pillow and comforter, a small mattress pad which does make a difference can be added on by the flight attendants when you need it. For most, this is after the first meal service. Amenity kits were waiting in our seats. They’re a new collaboration with This is Ground, a leather accessory company. The quality of the pouch is the first thing I noticed. The leather is super soft and, truthfully, it’s nice not to put a cloth kit on a wet bathroom counter accidentally. 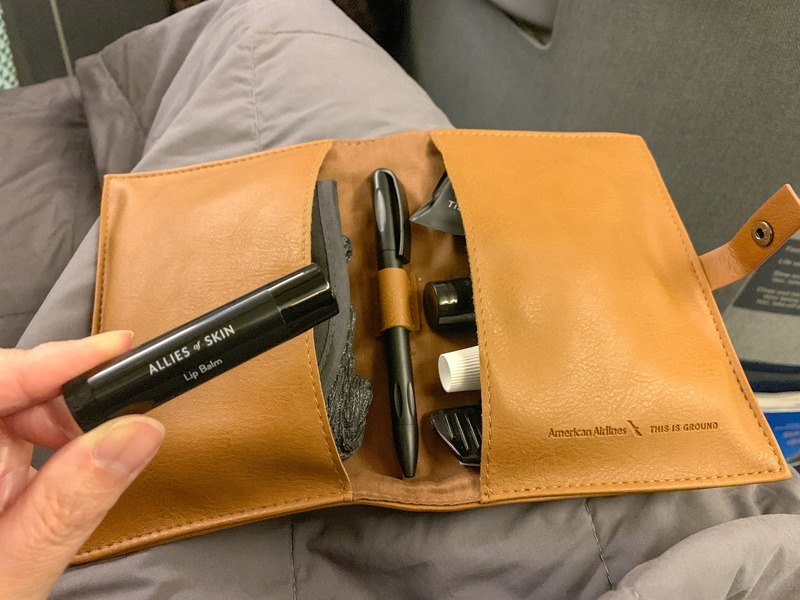 Amenities inside feature products by Allies of Skin, Zenology, and Baxter of California and include an eye mask, earplugs, a toothbrush, and toothpaste. Colors and shape vary by class and route. Shortly after takeoff, the pilot gave his flight announcement and vowed not to speak again until landing so that people could get some sleep. That’s precisely what happened. The seat belt sign was turned on and off multiple times throughout the almost 16-hour flight, as one would expect, but with no announcement. When you’re excited to head to a destination, it’s nice to be able to have a little local fare to eat, even on the plane. This usually is the case. I had excellent bibimbap on American Airlines to Seoul recently, for example. The only Cantonese or even Chinese option on the menu was Hong Kong style milk tea. 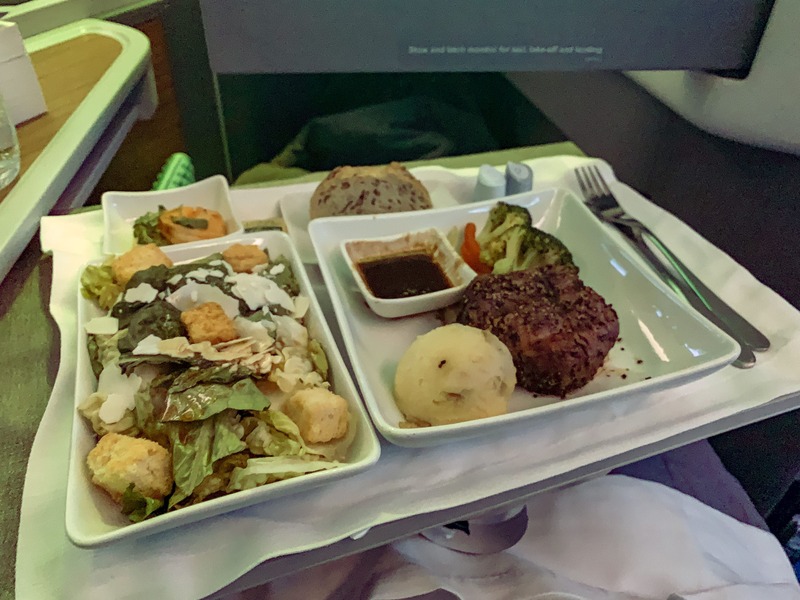 All courses are served at once during the first meal except for the standard American Airlines warm nuts that accompany the first drink service. This is probably because it’s a late night flight. My daughter opted for the Thai green curry and said it was good. My steak was just okay and a bit too well done. We were both too full and tired for dessert but could have chosen a cheese plate or typical American Airlines sundae (always a hit). 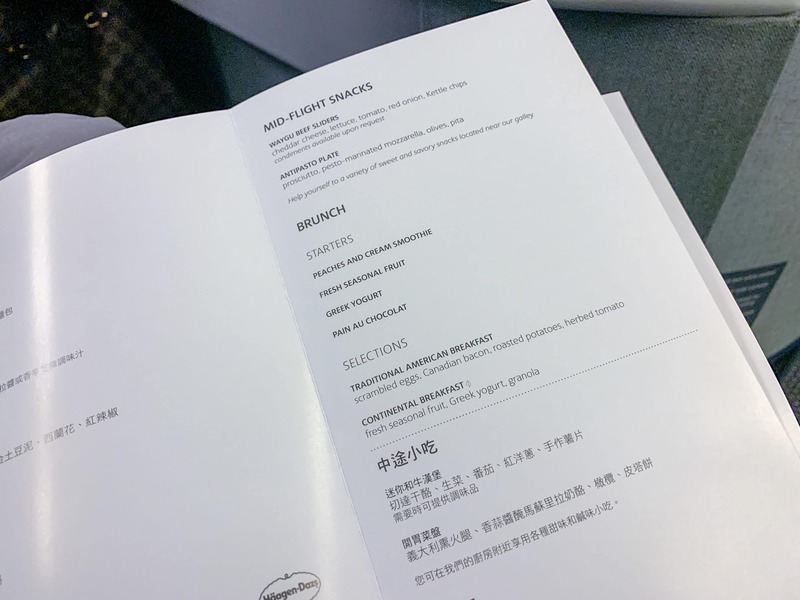 However, on Cathay Pacific, the first meal on overnight flights is still served in several courses albeit rapid ones. I prefer this as it feels a bit more upscale (especially given the price of these tickets). We also often fly Japan Airlines to Hong Kong via Tokyo and their meals, too, are served in courses. 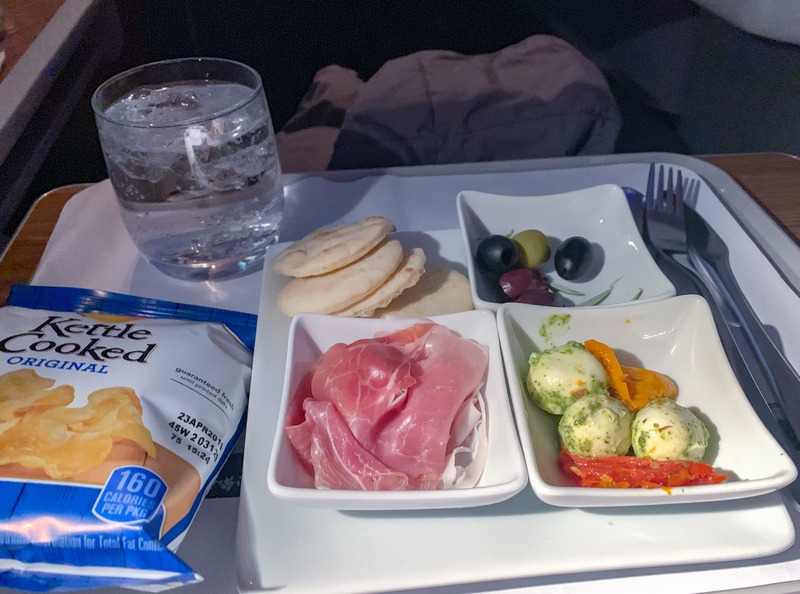 Later in the flight, my daughter opted for the sliders (very good, she said) and I ordered the antipasto plate. I wasn’t in the mood for sliders or this, but it was good. Two options for midflight snacks is a bit slim. I don’t have photos, but the galley did offer better options if you weren’t in the mood for sliders or antipasto. Little dishes with cutup fruit salad, various small sandwiches, and the other snacks covered with cellophane there was more my speed. A nice variety of gourmet chips, chocolate, and other individually packaged snacks awaited in the galley as well. 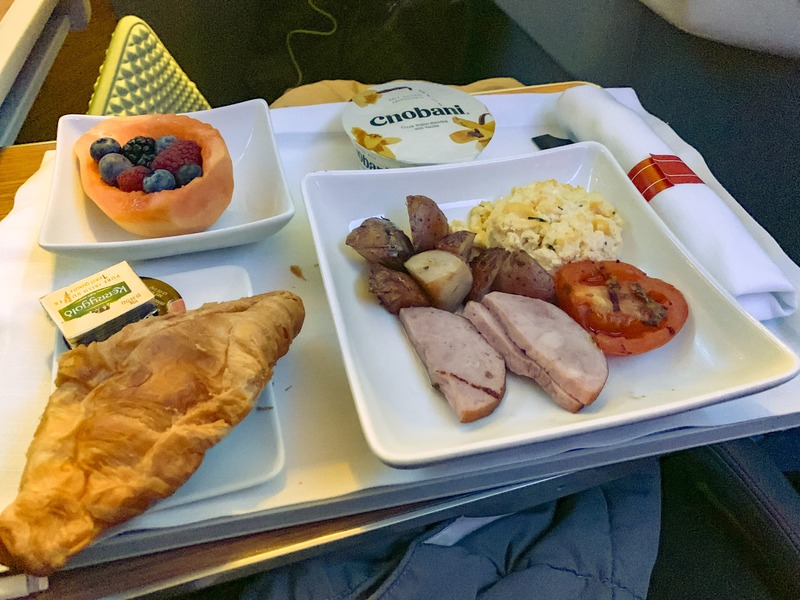 Flight attendants served breakfast a few hours before landing. I’m used to eating dim sum for breakfast before landing in Hong Kong, but the traditional American breakfast was fine. I wish that there was another bakery option other than croissants (we could choose from plain or chocolate croissants). The skinless mango bowl was a nice, delicious touch. A smoothie was served before breakfast, too. It’s a lot of food which is perfect as we were starving. Onboard entertainment in American Airlines premium class cabins is excellent. It’s impossible to run out of movies, documentaries, concerts and television shows to watch. 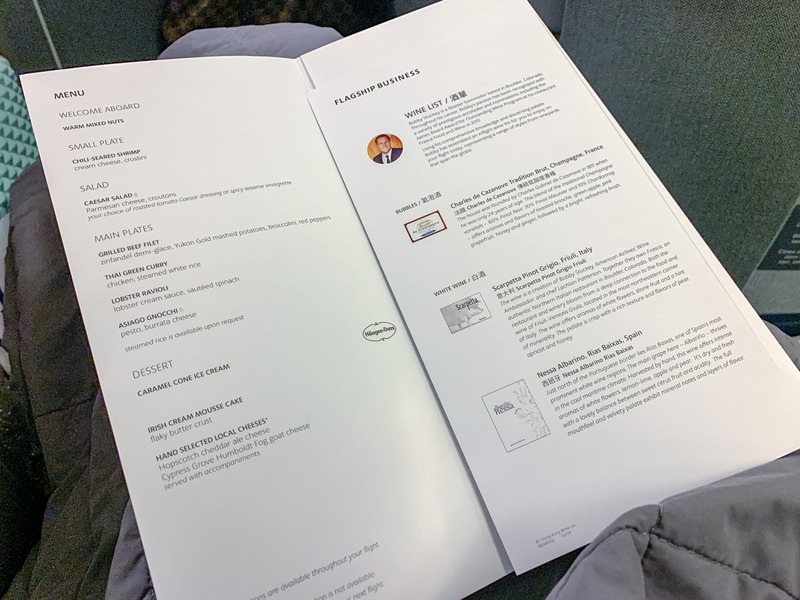 Bose noise canceling headsets are provided in every business and first class seat, but like other American Airlines flights (I’m told this done for customs inventory), flight attendants collect them well before the flight lands, somewhere between 45 minutes to an hour. You’ll be given some earbuds with such poor quality that it’s hard to hear the sound. Make sure they give you an adapter so that the headphones send audio to both ears. Otherwise, you’ll only hear with only one (miserable). I still carry Bose QuietComfort earbuds with an adapter for this very reason. If you don’t have an adapter for your earbuds, ask for one quickly as I think they are in limited supply on the plane. The flight took off as scheduled and landed a little bit early. Flight attendants were pleasant. It’s an American style of service, which makes sense. I woke up several times when flight attendants serviced other passengers. 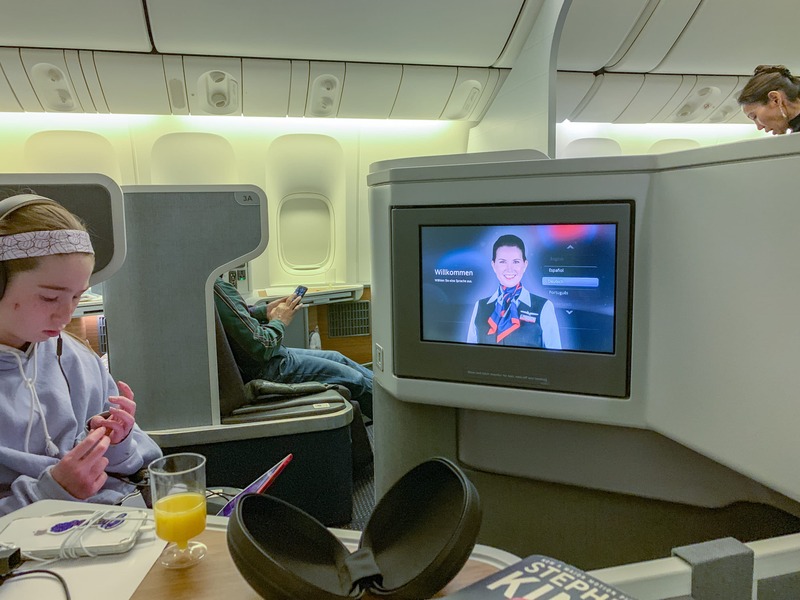 It’s not a negative, but I mention this because if you are used to flying to Hong Kong on Japan Airlines (via Tokyo) or Cathay Pacific, where staff-passenger interactions tend to be quieter, you will notice a difference in the service. It’s a good flight with lie-flat seats if you can catch it at a price that suits you. 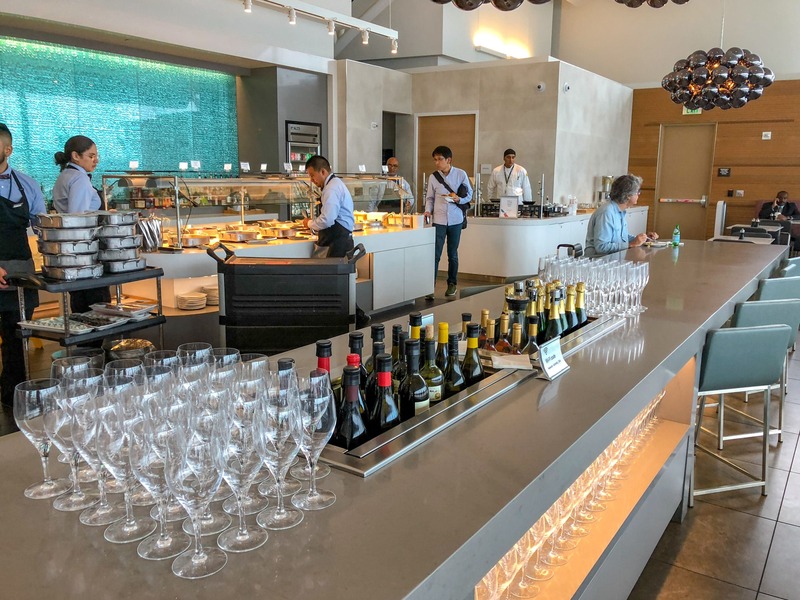 Cathay Pacific overall is a nicer experience (so is Japan Airlines), but American Airlines AAdvantage members usually earn more elite qualifying dollars when flying American metal to Hong Kong in business class, assuming they’re paying cash for a ticket. I’ve run the numbers multiple times on multiple dates recently and if paying cash for business class, American earns elite travelers more of what they need to keep their status. 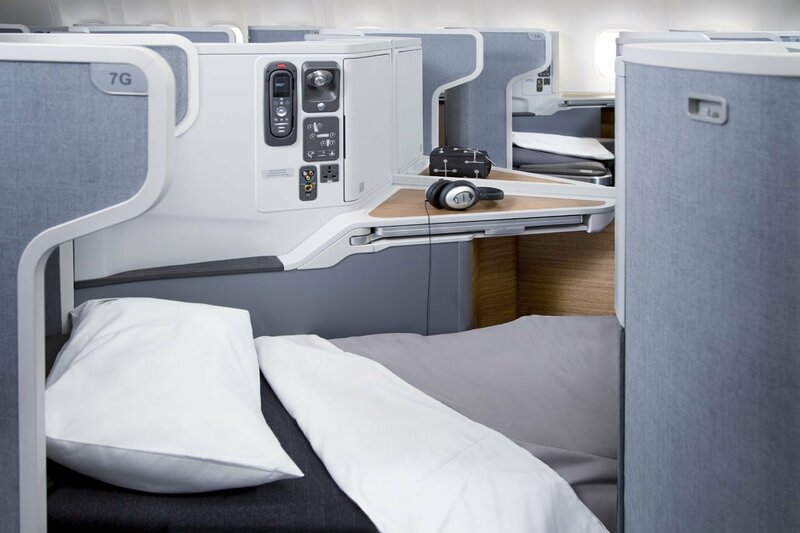 That being said, AAdvantage members can use miles and systemwide upgrades to upgrade from economy to premium economy, premium economy to business class and business class to first class. 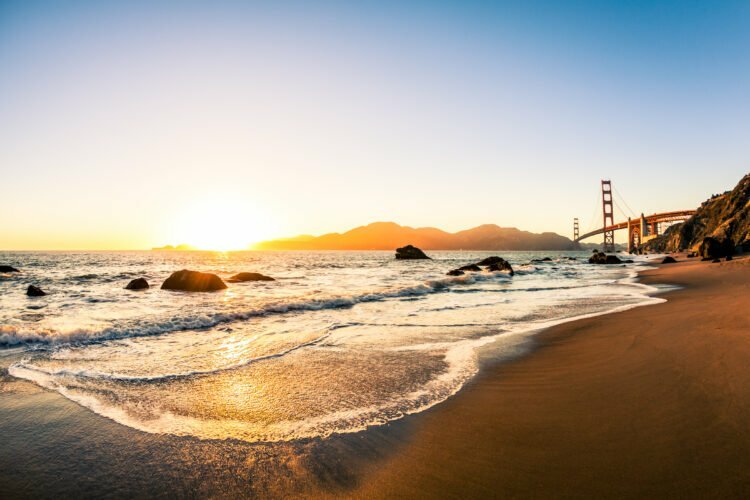 Even though Cathay Pacific is a oneworld Alliance member, you can’t use AAdvantage miles to upgrade on Cathay Pacific flights. 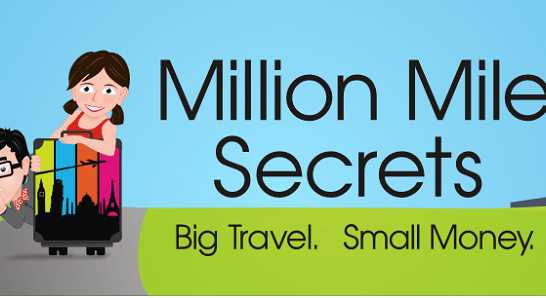 And, trust me, it is becoming more and more difficult to use AAdvantage miles for full tickets on Cathay Pacific. 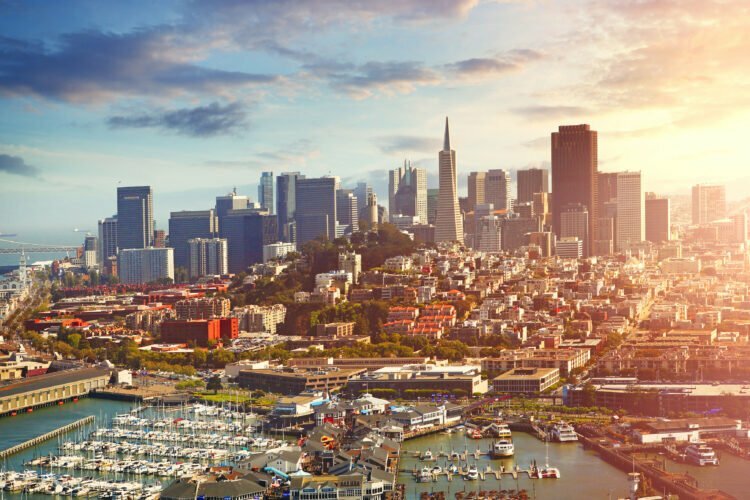 So, you’ll need to do a value calculation when it comes to money and personal preferences to decide which airline to choose when flying to my favorite city, Hong Kong. I (and many others) find that taking the Airport Express train from the airport to Tsing Yi, Kowloon and Central is easiest. 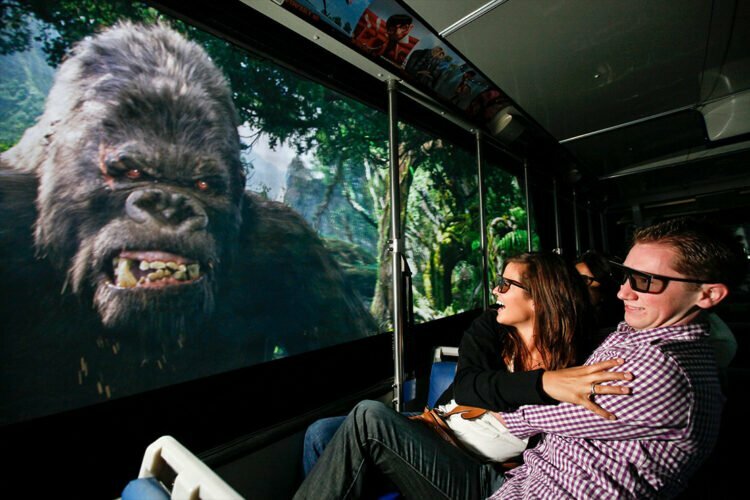 From the airport to Central, it’s a 24-minute ride. If you just need the train tickets, buy discount Airport Express tickets on Klook. 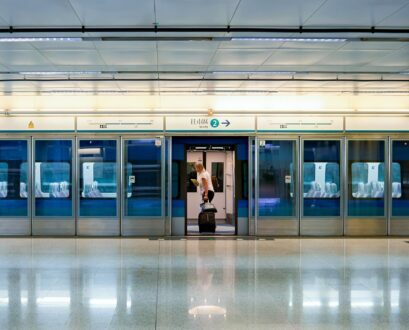 However, Airport Express train tickets are included with the Hong Kong Pass for those who will sightsee during their stay.